Finished in a striking Hainan Blue Metallic this simply stunning Q3 S Line effortlessly combines practicality with style. Upgraded with Heated Front Seats, this car has an excellent specification. 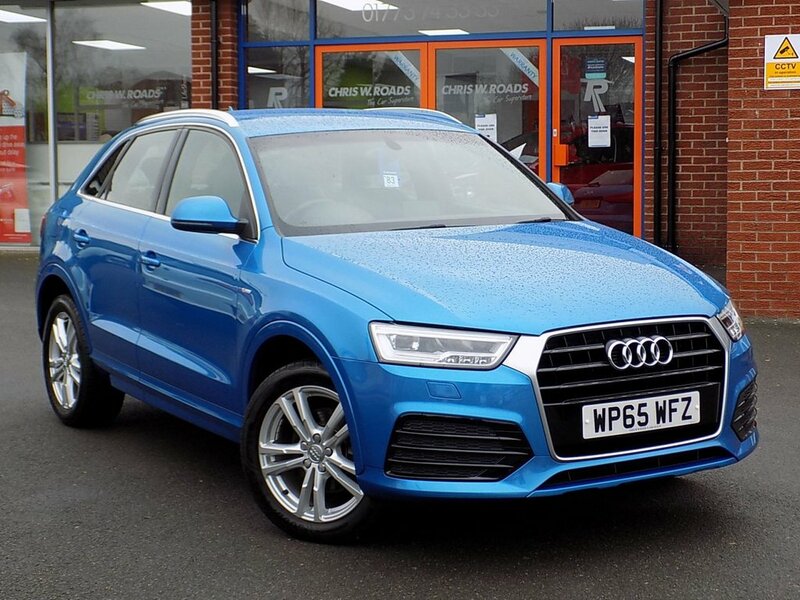 Its other great features include Bluetooth, DAB Radio, Dual Zone Climate Control, Rear Parking Sensors, Light and Rain Sensors, Audi Drive Select, 18" Alloys and more. Low mileage and comes with Full Service History (1 service). Please ask for details of our fantastic finance and warranty packages, subject to status, T's and C's apply.